Diagnosed with muscular dystrophy, David Muir eventually became ventilator-dependent and as a result, was unable to speak. 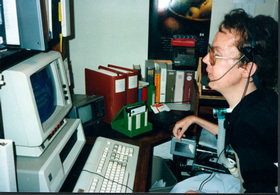 David experienced firsthand the isolation and frustration caused by the loss of his voice. After months of being unable to communicate, David was determined that he would not continue to suffer in silence. 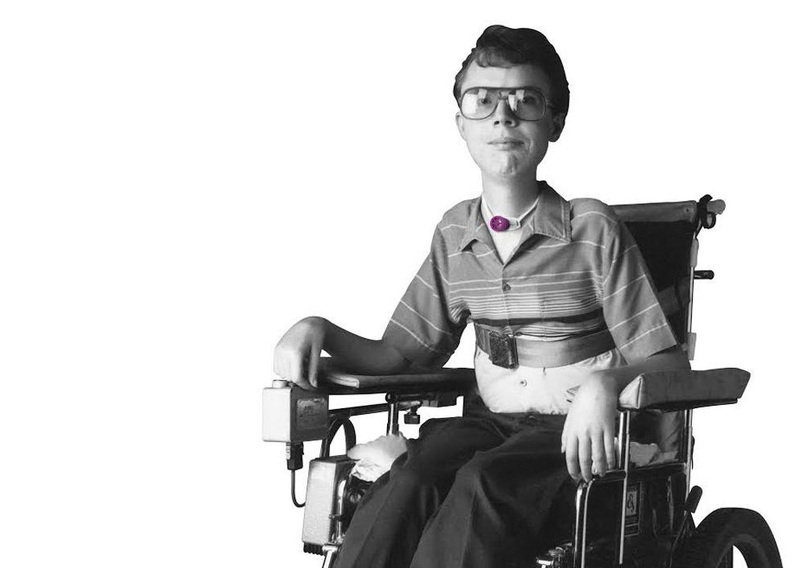 From his wheelchair, he used his scientific background to invent a speaking Valve that could be used on and off the ventilator. David immediately experienced the dramatic positive effect that the Passy Muir® Valve had on his quality of life. His Valve restored his voice and the freedom to communicate with his family, friends, and medical team. David desperately wanted to help others avoid the feeling of helplessness and isolation that he suffered when he was unable to speak. His personal experience fueled his passion and inspired him to find a way to help other tracheostomized and ventilator-dependent patients with his Valve. 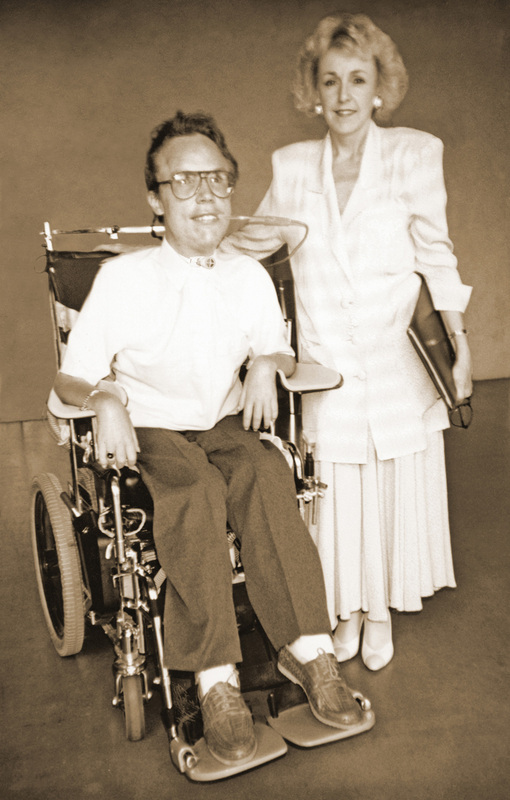 In 1985, with their dignity of speech mission always in sight, David Muir and Patricia Passy began the journey of establishing a medical device company to bring David’s Valve to patients throughout the world. They collaborated with engineers to design the manufacturing process, developed clinical studies, obtained FDA clearance, and worked countless hours to bring the company to life. 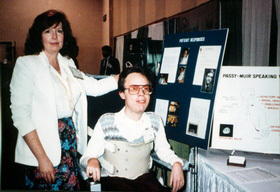 David and Patricia advertised in national medical journals and attended national speech pathology, pulmonology, otolaryngology, and respiratory meetings. 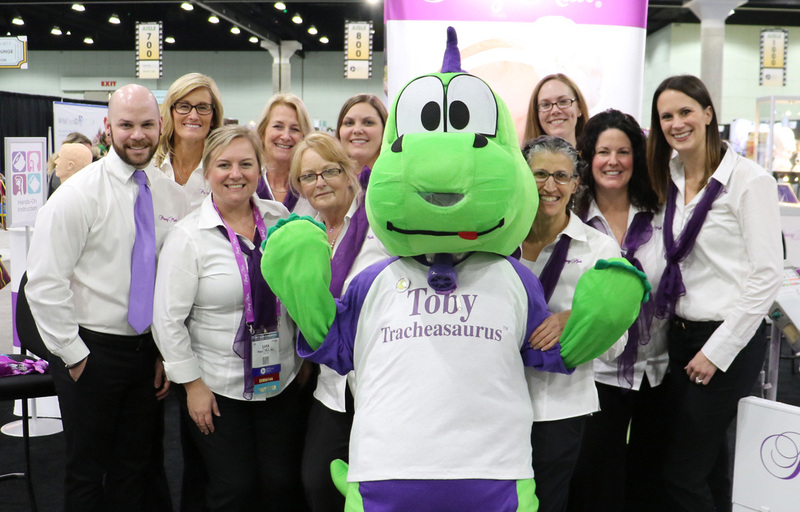 David was quite the celebrity at these meetings and was always very busy at the exhibit booth discussing the advantages of the Passy Muir® Valve with physicians and clinicians. David loved personally interacting with the individuals prescribing and using his Valve. He was both admired and respected by professionals and patients who were fortunate enough to meet him. Passy Muir’s mission does not end here at home. 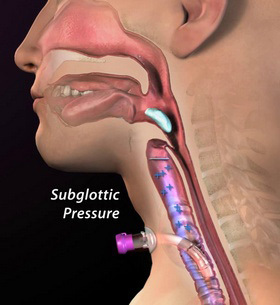 The company has brought dignity through speech to tracheostomy and ventilator-dependent patients throughout the world. 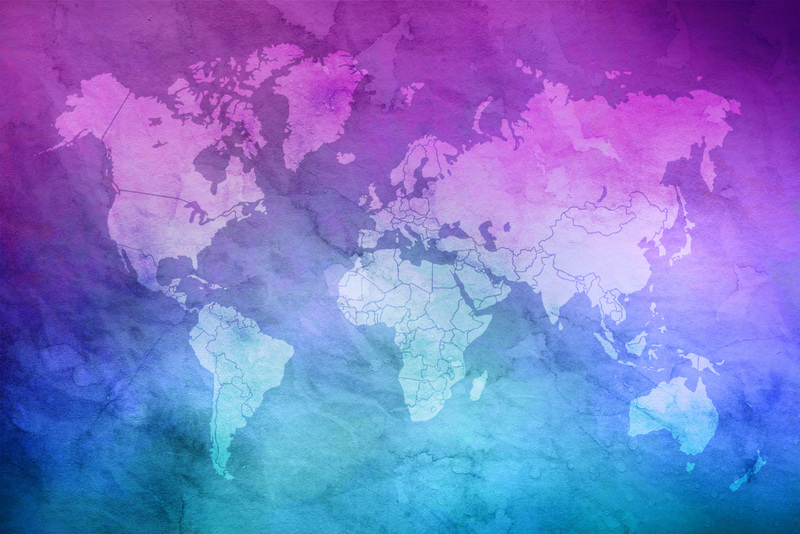 To meet the needs of the international community, we currently have translations of our clinical Instruction Booklet in many languages. A solid commitment to quality is the hallmark of the Passy Muir philosophy that is continually integrated into our products and services. “Passy Perfect” is the mandate from our Founder Patricia Passy that we honor each day by providing consistently reliable and high-quality products that assure patients the best opportunity for clear, uninterrupted speech and the added clinical benefits of a bias-closed position no-leak design. Each Valve is manufactured and tested to exceed the highest industry standards. Only the best quality Valves may bear the Passy Muir® trademark. We have dedicated significant resources to the continued development of diagnostic equipment specifically designed to assess speaking Valve performance. We are able to use this state-of-the-art technology to evaluate, test, and continually improve Passy Muir® Valve designs and to further our understanding of the needs of this specialized patient population. All Passy Muir® Valve products are produced according to FDA guidelines in a cleanroom facility, using only certified medical grade, non-latex materials. They are tested by an independent biomedical laboratory for tissue compatibility and analyzed to ensure material compliance. Every Valve undergoes visual and microscopic inspection at the time of manufacture and must pass our exacting proprietary testing systems before leaving production. As part of our quality commitment, Passy Muir has maintained the CE Marking of Conformance ISO Certification (NSAI) since 1998. 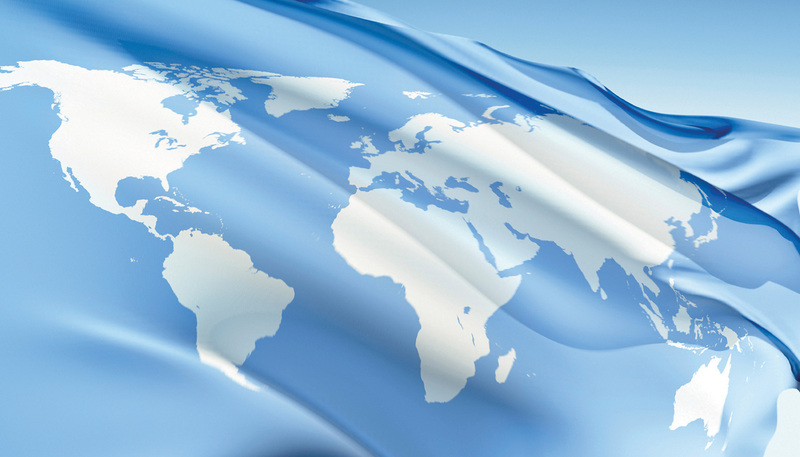 Meeting the requirements of these internationally recognized standards ensures that our quality management system proves to be effective, up-to-date, and robust. In achieving compliance with the ISO 13485:2016 standards, we chose NSAI, a global leader in testing, inspection, and certification. NSAI delivers high-quality services to help companies meet the growing challenges of product quality and safety. NSAI reviews our management system and provides certification to the standard as an independent third-party specialist. This provides our customers with independent assurance that our commitment to quality permeates everything we do so our products can truly be “Passy Perfect” in honor of our founders, David Muir and Patricia Passy. David’s spirit, intelligence, innovation, determination, and commitment are a part of every Passy Muir® product produced. We remain conscious of David’s mission in everything that we do at Passy Muir. He is the reason we have the opportunity to give the gift of speech to patients, and it is David’s vision of making his Valve available to every patient with the potential to speak that drives our commitment and inspires our work. We are continually impressed by the patients’ and clinicians’ knowledge of David’s contribution and their loyalty to his mission and his Valves. A solid commitment to quality is the hallmark of the Passy Muir philosophy that is continually integrated into our products and services. “Passy Perfect” is the mandate from our Founder Patricia Passy that we honor each day by providing consistently reliable and high-quality products that assure patients the best opportunity for clear, uninterrupted speech and the added clinical benefits of a bias closed position no-leak design. Each Valve is manufactured and tested to exceed the highest industry standards. Only the best quality Valves may bear the Passy Muir® trademark.